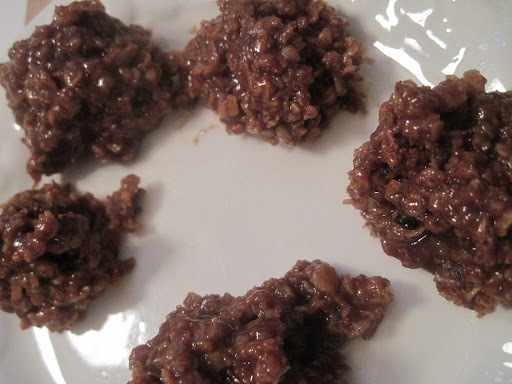 Easy No- Bake Chocolate, Peanut Butter, Oats Cookies- otherwise known as HURRICANE COOKIES. Do you remember when Hurricane Irene was coming up the Coast? Well I kind of panicked about our food situation. What were we going to eat if we lost power for days??? Okay, I have to calm down, let’s check my emergency list here. Hurricane Cookies, check, check, check!!! So I figured, if we lose power, I’ll have these made and we should be fully sustained through dinner! 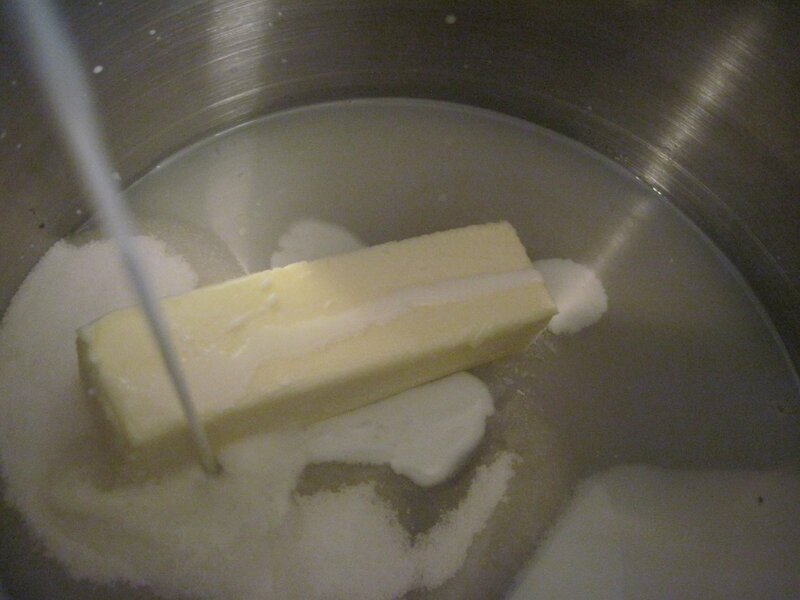 In a saucepan, add sugar, milk, butter and vanilla. Bring to a rolling boil and let boil for 1 minute. 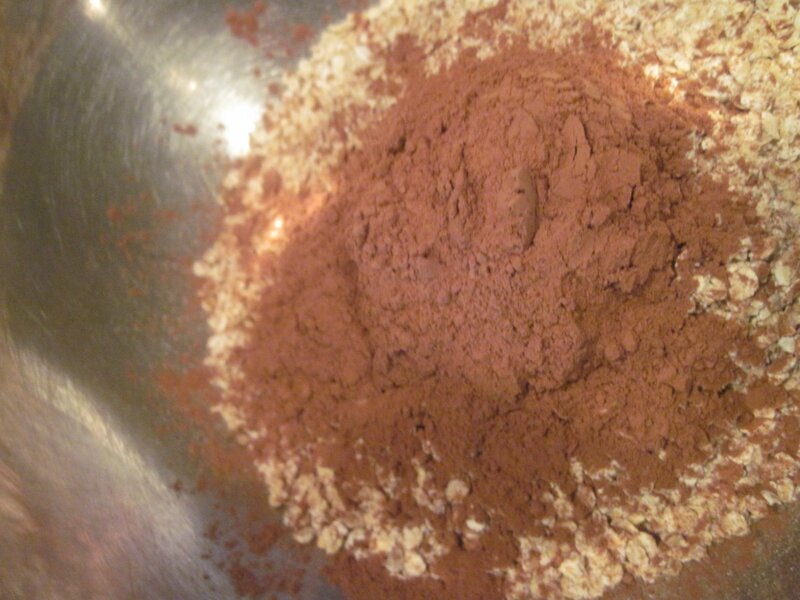 In a separate bowl, combine Oats and Cocoa Powder. 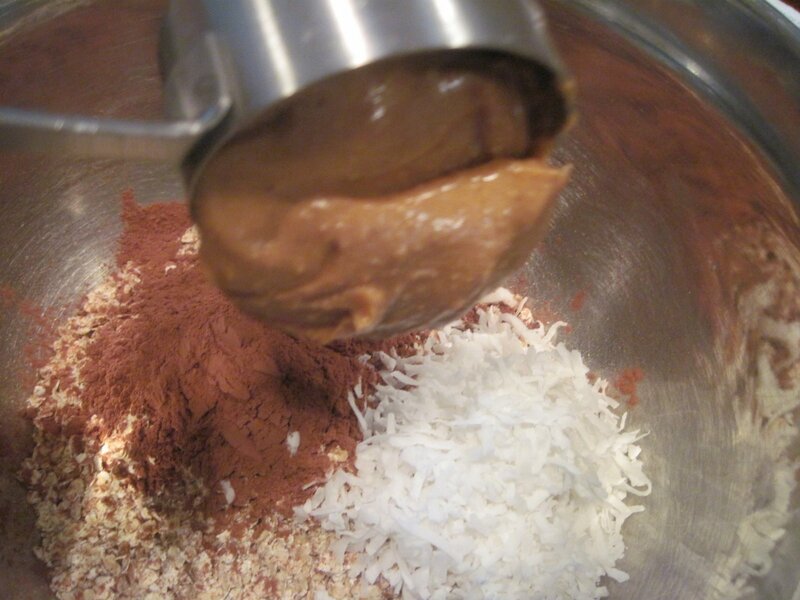 Add coconut and peanut Butter, stir it up Lil’ Darlin, stir it up. Stir it up, I think I need to link the song here…. 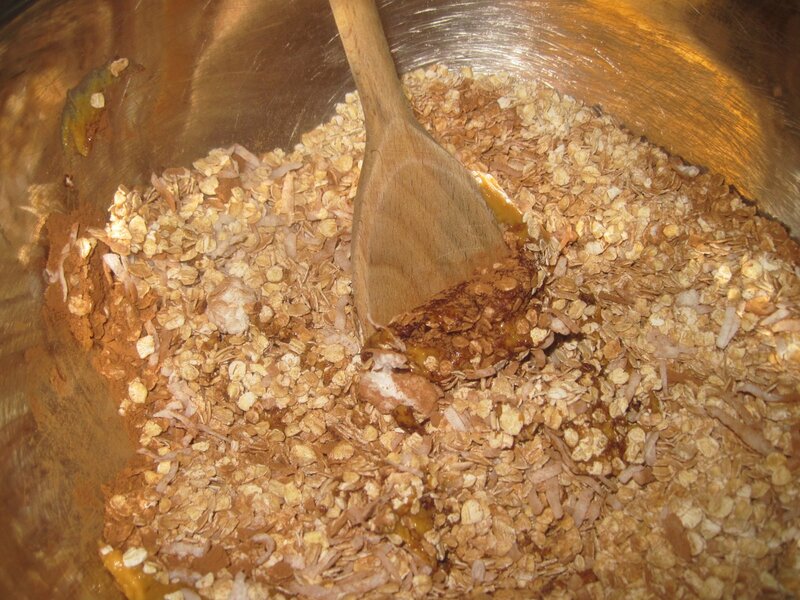 Add peanut butter mixture to saucepan mixture. After all ingredients are combined, drop by a heaping teaspoon on wax paper- lined baking sheets. Make sure to taste them before your family does, taste another one just in case, you are the protector after all. 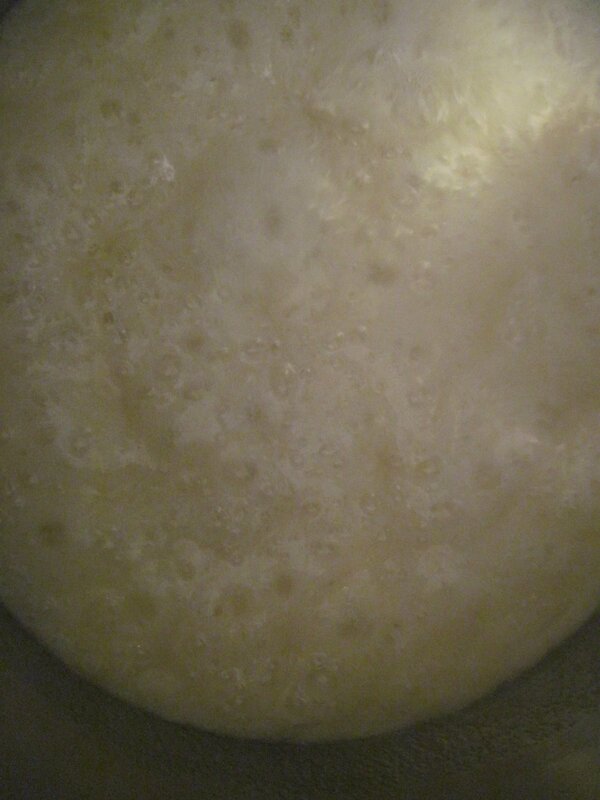 In a sauce pan over medium heat, combine sugar, milk, butter and vanilla. Bring to a rolling boil, boil for 1 minute. 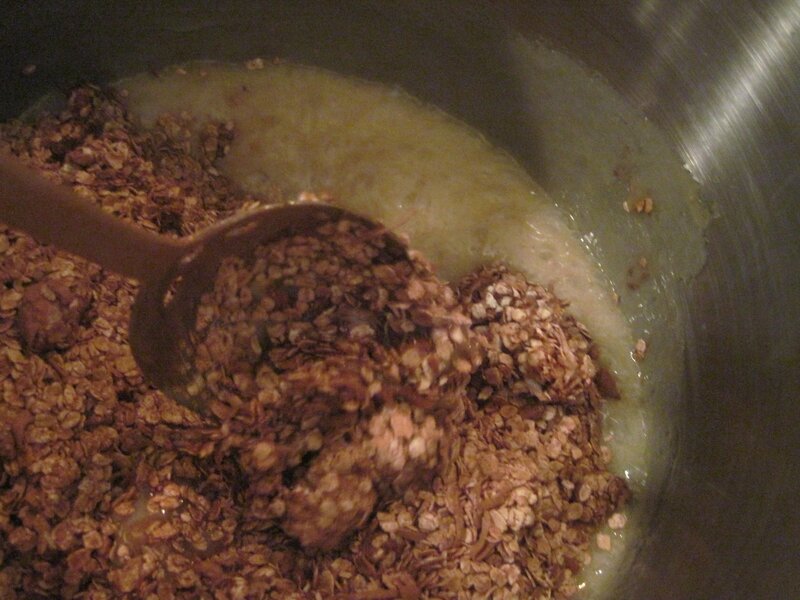 Remove from heat and stir in oats, cocoa, peanut butter and coconut. Drop by heaping teaspoon onto wax paper-lined baking sheets. Thank you so much for this recipe and for sharing on Thursday's Treasures! Living in Florida..I need an emergency cookie recipe! 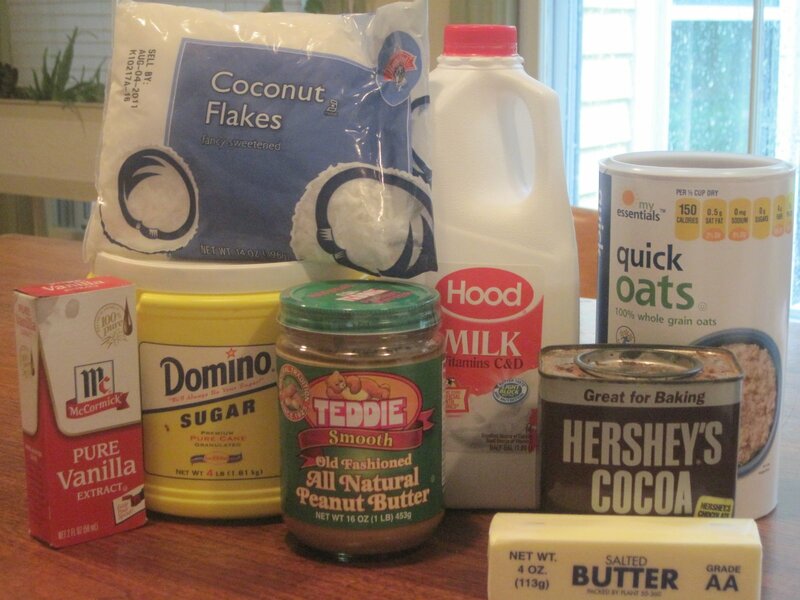 Have you made it using reconstituted dry milk? I don't think it will change it a bit. <3 and Hugs! I'm always scared of burning sugar, but these look worth plowing through the fear! Wish I'd had this recipe on hand last time my oven broke.